It was a very special Sporting Club lunch at Moreton’s in Berkeley Square London. 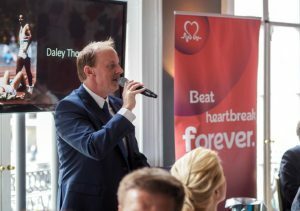 Alexander Charles Associates were delighted to bring along our Charity of the Year partners the British Heart Foundation. We also invited two special guests: Tony Doyle MBE and Hari Sabharwal. 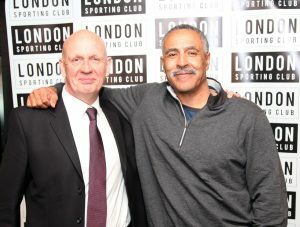 The Sporting Star of the Lunch, was amazing double Olympic decathlon champion Daley Thompson CBE. The event began with a drinks reception and opportunity to meet and greet the holder of four world records, two Olympic gold medals and three Commonwealth titles! 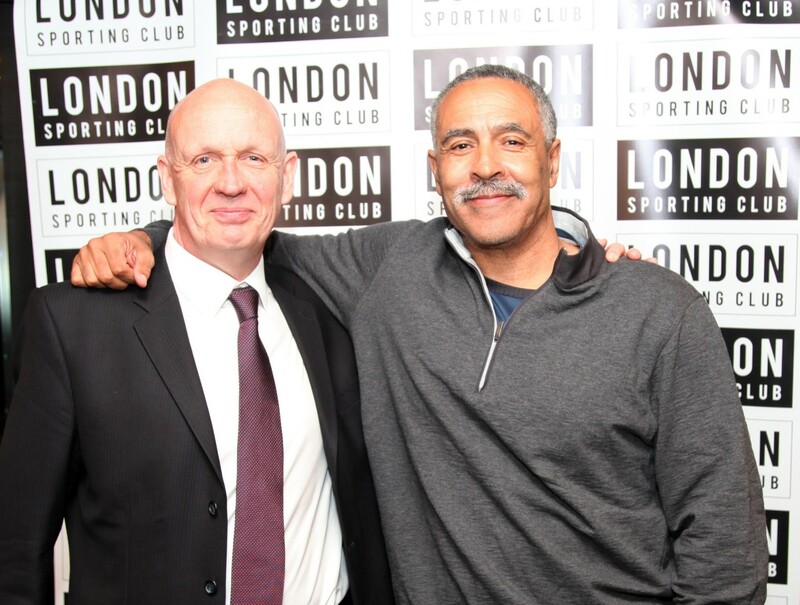 Hari Sabharwal was the lucky winner of our LinkedIn competition and was delighted to have his photograph taken with Daley Thompson. Our other special guest was former world cycling champion Tony Doyle MBE who had previously ridden long distance cycling events and had competed at the 1980 Olympics together with Daley. Over a lovely three course lunch, Daley regaled attendees with a humorous and candid account of his glory days. Specifically, the hard work and dedication required to prepare for, and compete in, two back to back Olympics. Daley credited his success to solid teamwork and having the self-discipline to train hard for all the events (even those he liked less). He highlighted that he was 100% focused on winning and nothing else. 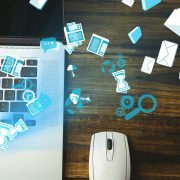 He explained the same attitude translates well to achieving success in business. Daley also spoke about how valuable it is to find and pursue a passion in life. He now dedicates time to coaching underprivileged children. The lunch concluded with a presentation from our Charity Partners the British Heart Foundation (BHF). The BHF spoke about the work they do and its wider importance. Sporting Club chairman Ian Stafford then led a fundraiser leading the attendees present to raise an amazing £1,000 for the BHF.